One Carat Diamond - How Much is a One Carat Diamond Worth? Q: How much would a one carat diamond cost? Contrary to common belief, diamonds are not white! They actually come in many different colours, commonly faintly yellow or brown. Generally the most expensive or desirable colour is no colour at all (colourless). There is now an internationally recognised colour grading scale which starts at D (colourless), and goes down to Z (light yellow). This grading scale only really applies to the yellow series of diamonds. Other colours such as pale pink, blue, , or red, are very rare and desirable. Intensely coloured diamonds are known as "fancies" or fancy coloured diamonds, and if the colouring is natural, they are again very rare and expensive. (See Diamond Qualities - Colour). These also include fancy intense yellow, brown and black diamonds. There is a very wide price range between the best and the worst. Please note that in the examples below, we are quoting retail prices. Our Chard Club cash & carry selling prices would be approximately 30% to 50% below retail, subject to market conditions. For a 1 carat round modern brilliant cut diamond, D colour, IF (internally flawless) clarity, well proportioned, well made, we would estimate a retail value of £26,000; and at that quality, you should expect to get a certificate from an internationally recognised gem laboratory. At the bottom end, we would estimate a retail price for a rejection quality stone at, say, £100. Actually if you found or were given a 2 carat piece of rough (uncut) diamond, and took it to a diamond polishing factory, you would probably have to pay at least £200 in labour charges to end up with a 1 carat polished stone. Next we get asked how much is a reasonable quality stone without going "over the top". This is more difficult to answer because there is not just one single simple answer, and a lot depends on personal preference. The more you are prepared to spend, the better diamond you will get, depending on whom you buy it from. For E colour, VVS1 clarity, the price would drop to around £15,500. The above price guide is over-simplified, we have simply quoted prices around a diagonal line from top left to bottom right of the colour / clarity chart. Prices do not include a grading certificate. Expect to pay about £100 to £200 extra for a GIA or CIBJO certificate. Most other certificates are not worth the paper they are written on. Many dealers or retailers may give you an opinion of the stones grade if asked, and this is probably better than nothing. Naturally, you are depending on their honesty. Even the most honest dealers will grade a stone differently on different occasions. In our opinion there exist two different grading systems, the laboratories and "the trade". 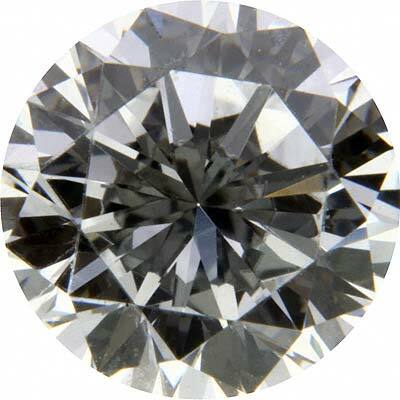 It is quite common in the diamond trade for stones to be exaggerated by at least 1 or 2 colour and clarity grades. We would strongly advise you to ask for a certificate if you are paying in excess of, say, £5,000. Obviously this figure is arbitrary, and you may feel it is worth paying the extra on purchases at lower price levels. We only send diamonds for laboratory grading and certification in the case of higher quality stones, usually where we feel they would be difficult to sell without a certificate, or in cases where we expect our most likely customer to be a diamond broker. The smallest diamond we had certificated was about 0.25 carats, but was D colour, VS1 clarity. Our price on it was over £400, and I never expected us to sell it; retail value would now be about £1,000. The laboratory we normally use is the London Gem Lab, which is a CIBJO recognised lab. For export trade, we would use the GIA, who grade to the same standard but are better recognised internationally. The above prices do not include a mount. High quality certificated diamonds of 1 carat plus.